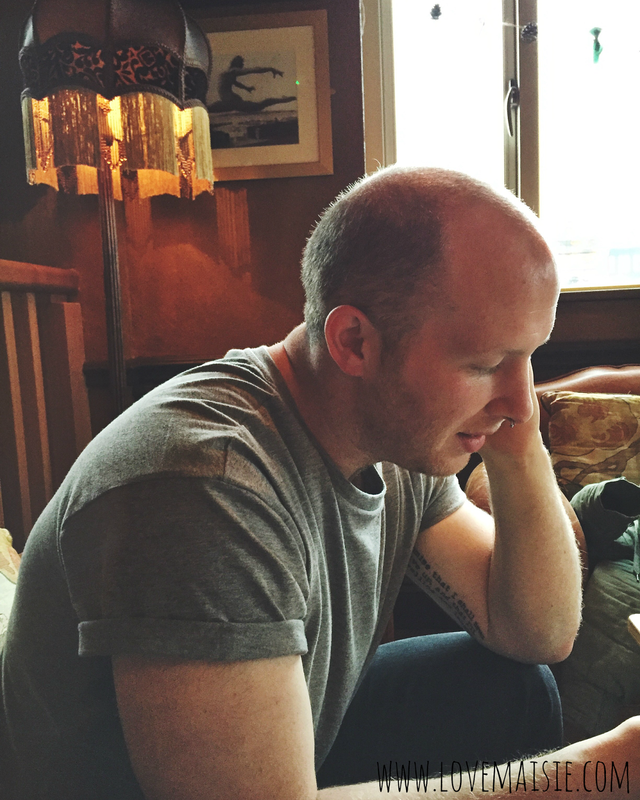 Last week, myself and Jack had arranged to see each other on Sunday, so on Saturday evening in my true lastminute dot com self, I decided to have a browse online and see if there were any cafe’s or restaurants in and around the Gloucestershire area that catered to Vegans. 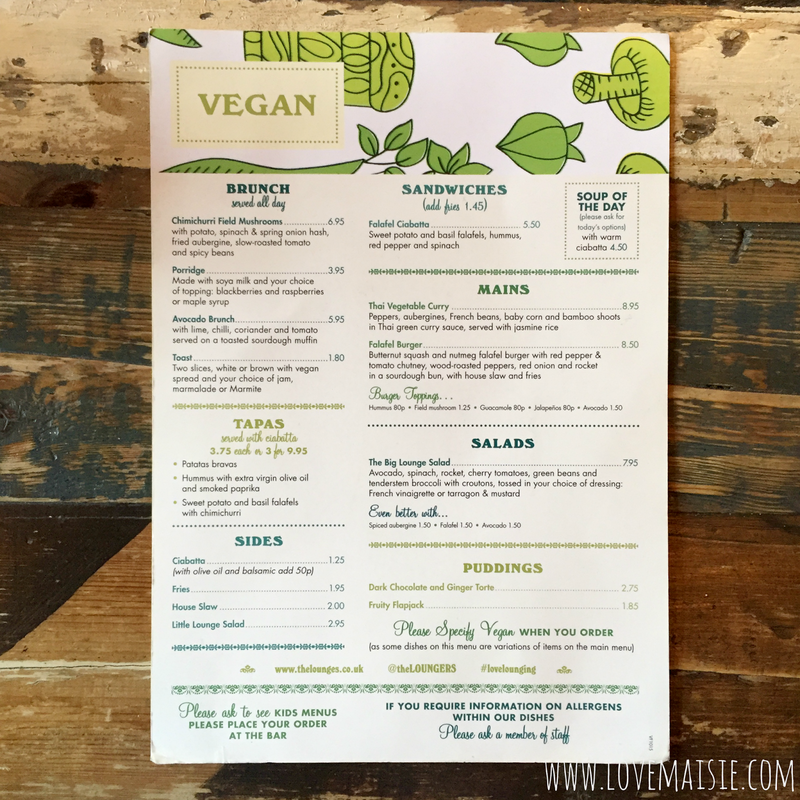 I didn’t have to spend too much time looking, as I found Portivo Lounge’s vegan MENU and almost exploded with excitement! I know it might sound really sad, but I find it really hard to go out for lunch/dinner where I live without just having the side salad (it gets really boring). So off we trotted to Gloucester Quays! We parked in the multistory that’s attached to the quays shopping center, which is super duper handy! I hadn’t been down to this area for years so I was super impressed with how fancy it all looks now, so so pretty and festive at the moment! Okay let’s talk Portivo Lounge. As soon as we arrived, I fell in love with their decor! Think shabby chic mixed in with 1920’s vibes, absolutely gorgeous! Unfortunately, they don’t take table reservations, so as it was a Sunday and so close to Christmas, I was feeling a little anxious, but we managed to grab ourselves a table upstairs no problem. They have a large seating area downstairs and a fairly decent sized area upstairs too! Like I mentioned before, alongside their full regular menu, they also have an entire vegan menu, so we were spoilt for choice really. They even have breakfast options which are available to order all day! Everything from chimmichuri mushrooms to giant salads and a vegetable curry and it all sounds so delicious! Even though we had both checked out the menu online, we spent a good ten minutes reading over the menu again to make our final decision! Click here to see the full pdf version on the Portivo Lounge website. In the end, I decided to go for the Falafel Ciabatta(£5.50), Jack chose the Falafel Burger(£8.50) with extra avocado(£1.50) and we also ordered Sweet Potato and Basil Falafels with chimichurri(£3.75) on the side, because who doesn’t love a good falafel overload! We were both super hungry so the food seemed as though it took forever to arrive but in reality it only took around 15 minutes at the most. Let me tell you, describing our food as delicious is an understatement. I’m no food critic so excuse my epic descriptions, but oh my dear lord it was glorious! Errrmmmmm, nom! Both of our main meals came with chips and houseslaw(which I wasn’t too keen on but I’m not too keen on it’s contents anyway) and I’m being 100% real here when I say that I’m salivating writing this post out! My falafel ciabatta also came with spinach, roasted red peppers and hummus. 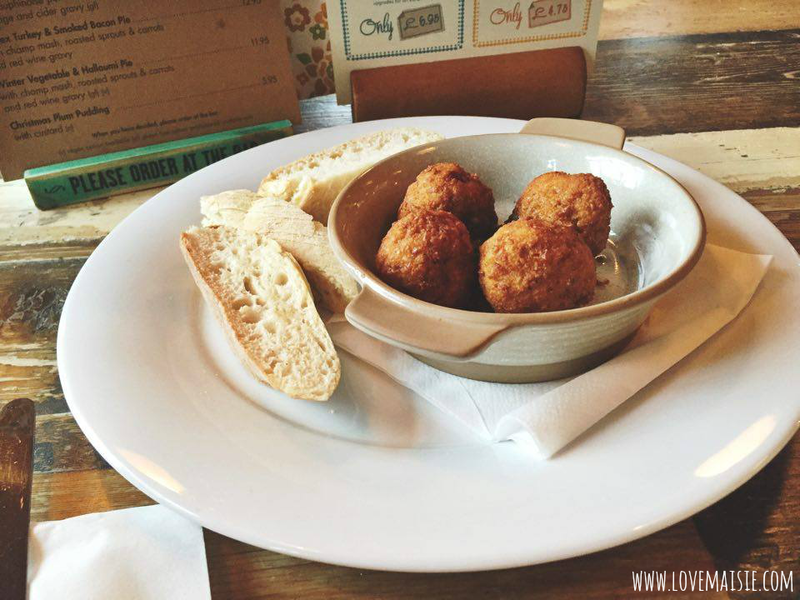 We reckon the falafel’s were homemade as they were so tasty! 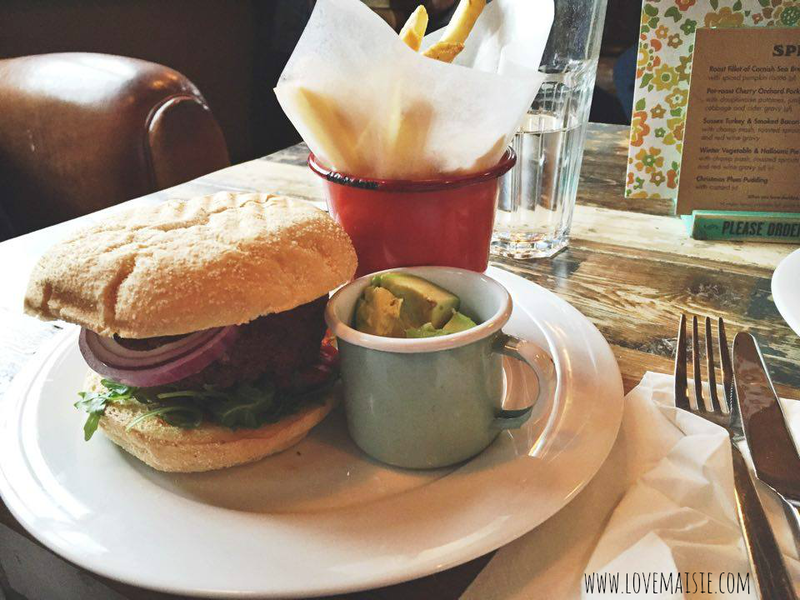 Jack’s butternut squash and nutmeg falafel burger came with wood-roasted red peppers, tomato chutney, red onion and rocket and was served in a sour dough bun. We both tried a little of each other’s main and I honestly don’t know which I think I liked best, they were both just so scrummy! The chimichurri falafel’s were tasty too, i’d never tried chimichurri before but I already know that i’ll be ordering the chimichurri mushrooms next time I’m down at Portivo Lounge! Our total bill with a couple of soft drinks came to around £23 which I’d say is a really good average lunch bill price, wouldn’t you? I was certainly full up on falafel! I absolutely adored all of the deco and the entire interior to be honest. I already can’t wait to head back for another lush vegan meal. I think I might even be cheeky and shoot an #ootd inside! Oh, just a note, they also have a cocktail menu, so I double can’t wait to go back one evening! 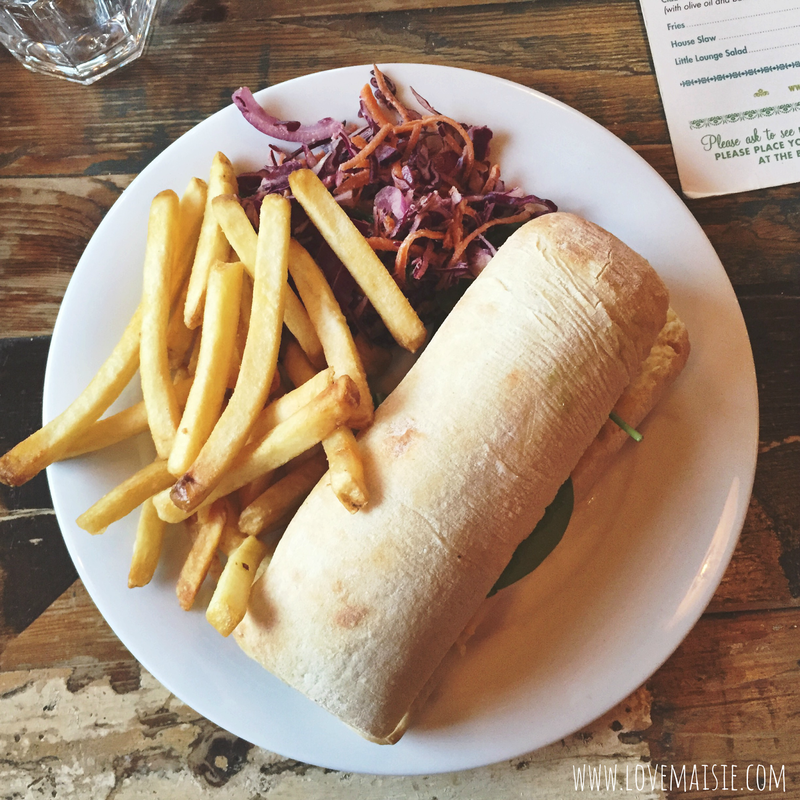 Overall, this is the perfect little spot in Gloucester for a bite to eat, especially if you’re vegan! 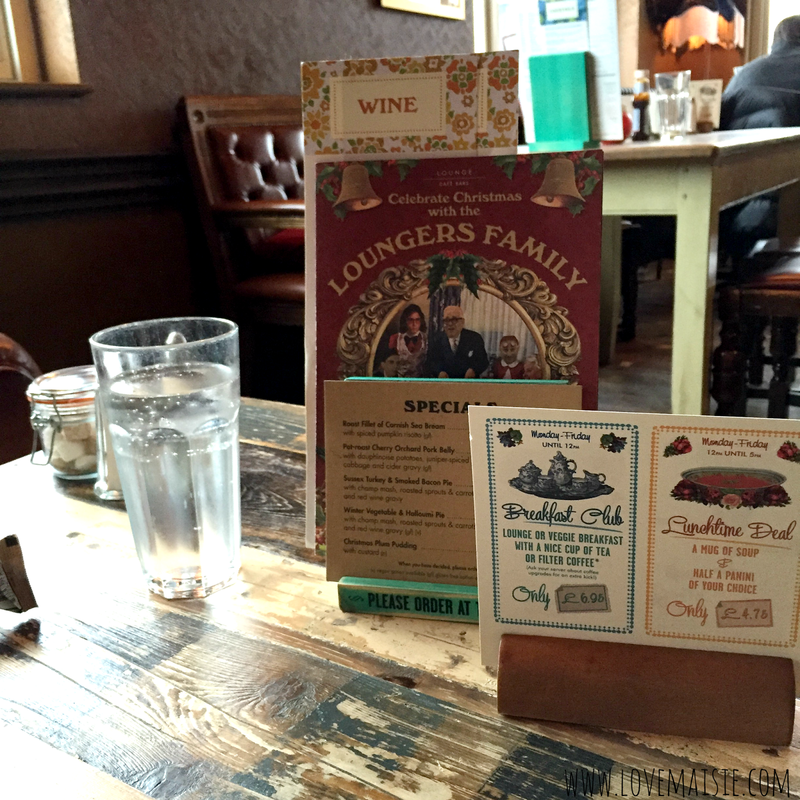 Really great value for money, a cute cosy setting and right in the heart of the Quays! Their main regular menu looks yummy too and I’m sure it’s all delicious! 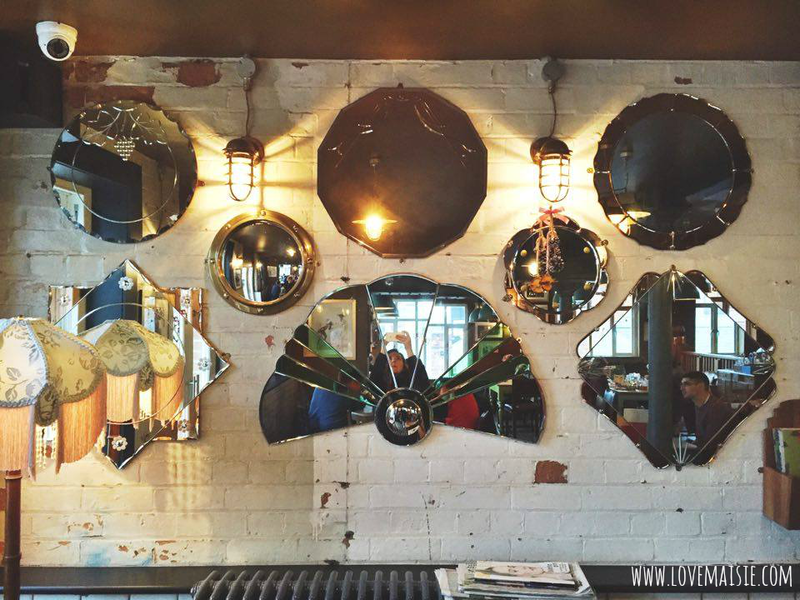 Have you visited Portivo Lounge in Gloucester before? What did you think? Let me know! I'm glad you had such a good experience – and handy to know that they cater for vegans so well.